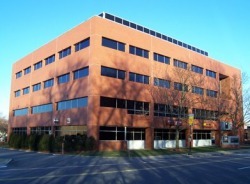 We are an twelve physician primary care group practice with a state licensed clinical laboratory and radiology facility [Mt Auburn Hospital] on site. Routine radiological procedures, mammography, ultrasonography and MRI studies can all be done. We do cardiac stress testing and echocardiography [both supervised and interpreted by the Mt Auburn Cardiology Associates], peripheral arterial disease studies, pulmonary function and 24 hour Holter monitoring at this location. We have the services of a dermatologist [Kay Kane, MD]. Our gastroenterologist is Kinnari Kher, MD. Screening partial (flexible sigmoidoscopies) and full colonoscopic examinations are done in the GI unit at Mt Auburn Hospital and we will be happy to make a referral for these studies. Our services also include dedicated full time "hospitalists" to oversee the care of our inpatients while at Mount Auburn Hospital, a podiatrist [Dr Edward Mostone] and a gynecologist [Marjorie Green, MD]. Christine McLaughlin, MD and Ayse Sahin-Efe, MD are our specialist endocrinologists. Our muscular-skeletal group has a chiropractic division [Dr John Danchik and Dr Doug Davison]. To provide you with key, ongoing preventive medicine services as well as with treatment when you do get sick. As internists, we're the first line of care, assessing overall health, providing initial treatment and working with specialists to diagnose and treat complex problems. If you do need to consult with us for a "sick" visit, appointments are typically available on a same-day basis. "Non-emergency sick visits" can be made within 48 hours. "Well-care" visits can be scheduled within several weeks. We emphasize routine visits to monitor your medical concerns, whether through regular physical examinations or scheduled follow-up visits for issues such as hypertension and diabetes. Our offices are arranged in 2-3 doctor "pods" to reinforce a warmer, more intimate environment. We each have our own secretary and medical assistant. I am in Pod One in Suite 4100 on the 4th floor and share it with Dr Gabriel Szentpaly. To avoid any miscommunication, when leaving a message for either my secretary, Lisa, or my new medical assistant, Jill, always clearly state your full name (spell last name), your date of birth and your telephone number. My medical scribe (until May) is Dylan. He is a graduate of Kenyon College, OH and has a post bac from Harvard Ext School. He will be entering medical school in the fall of 2019. The new scribe who will be taking over from Dylan is Sophie. She too hopes to enter medical school like my three previous scribes, Laura, Leah and Kellen who are all currently at medical school. 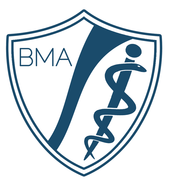 BMA now uses the Epic electronic medical record and has an electronic health portal "MyChart" which allows patients to view their lab, radiology results and most of their medical record. We're affiliated with Mount Auburn Hospital, a Harvard Medical teaching hospital, for inpatient admissions and other hospital-based services, and with the Mount Auburn network of physicians - MACIPA - for specialty consultations and referrals. 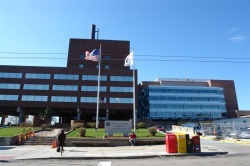 Mount Auburn Hospital is now part of the Beth Israel Lahey Health system. A physician is on-call for emergency advice 24 hours a day, seven days a week. 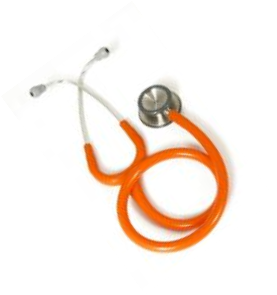 Please don't expect the on call physician to fill routine prescriptions or to obtain lab results. For some of my patients an office visit for a relatively minor problem can be inconvenient, time consuming or difficult because of inability to take time off work or because of childcare responsibilities. I fully understand this and while a face to face office visit is always preferable, if appropriate, I am prepared to offer an email consultation and treatment for an established patient. THE PATIENT will be responsible for the cost of this service as currently insurance plans do NOT pay for email consultations. They have been very reasonably priced. See special section of this website for details about this service. The office is fully handicap accessible. Call the billing office for a more comprehensive list if you do not see your plan listed. Please remember that the insurance co-payment is your responsibility. Our agreement with your insurance company mandates that we collect it at each visit, so please be prepared to settle the co-payment at the time of your visit. We do not send a bill to collect a co-payment. Stay on I-93 North all the way into Boston, where you will take the exit for Storrow Drive West. Follow Storrow Drive West until you reach the Newton/Watertown exit (this looks like a fork in the road, and you will take the right fork). This exit curves around to the right, and then splits again; take a left, following the signs for Rte 2 West (Fresh Pond Parkway). Stay on Route 2 West until you reach the second traffic circle; instead of exiting the circle to continue on the parkway, take the next exit (Concord Avenue). Continue up Concord Avenue a few blocks; you'll pass a Burger King on your right hand side. Our building is clearly labeled "725 Concord Avenue," and is a few buildings past the Burger King. Free parking is in the rear. Park in patient designated spots. We're on the fourth floor. Take I-93 South to exit 32 (the exit for Route 60) and follow the signs to Route 60 West. Once you're heading West on 60, follow signs leading to Route 16 West. This route eventually becomes the Alewife Brook Parkway. You will proceed through a jumbled intersection for Routes 2 and 3; stay on 16 West (which joins 2 East). You will pass the Alewife T station on your right and the Fresh Pond Plaza on your left. At the first traffic circle you encounter, take the first right off of the circle onto Concord Avenue. Continue up Concord Avenue a few blocks; you'll pass a Burger King on your right hand side. Our building is clearly labeled "725 Concord Avenue," and is a few buildings past the Burger King. Free parking is in the rear. Park in patient designated spots. We are on the 4th floor. Follow the Turnpike (I-90) to exit 14, and take I-95 (also Route 128) North. Take exit 29 onto Route 2 East. Route 2 eventually becomes a city road; follow the signs to stay on 2 East (this will require you to stay to the right at a major fork in the road). As you continue down Route 2, you will pass the Alewife T station on your right and the Fresh Pond Plaza on your left. At the first traffic circle you encounter, take the first right off of the circle onto Concord Avenue. Continue up Concord Avenue a few blocks; you'll pass a Burger King on your right hand side. Our building is clearly labeled "725 Concord Avenue," and is a few buildings past the Burger King. Free parking is in the rear. Park in patient designated spots. We're on the fourth floor. The "T" is Boston's public transportation system. T Stations are signified above ground by a big "T" in a circle. Each T station features a large map of the T system. Use the maps to guide your way to the Red Line. Take the Red Line North (or, Outbound) to the Alewife station. Walk toward the Alewife Brook Parkway and cross over to the other side (there is no pedestrian walkway on the near side of the Parkway). Cross the bridge, and the cross back to the other side of the parkway as soon as you can. Walk down to the traffic circle, and head for the first street to your right that heads away from the cirle. This is Concord Avenue. Continue up Concord Avenue a few blocks; you'll pass a Burger King on your right hand side. Our building is clearly labeled "725 Concord Avenue," and is a few buildings past the Burger King. We're on the fourth floor. ..............and thanks to her we keep floating along!